The Reed family began transporting asphalt materials in California in 1919, and quickly became pioneers in the road construction industry. 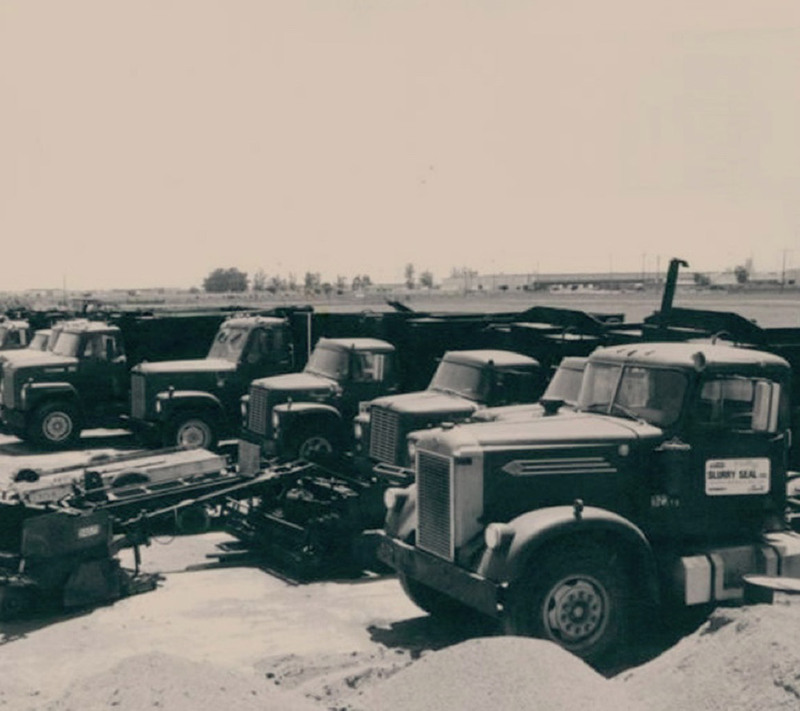 Originally known as Bay Slurry Seal industry in the 1950’s, Valley Slurry Seal, Inc. was later founded in the 1970’s and represents the family’s vision, drive, and commitment to excellence in pavement maintenance and preservation. 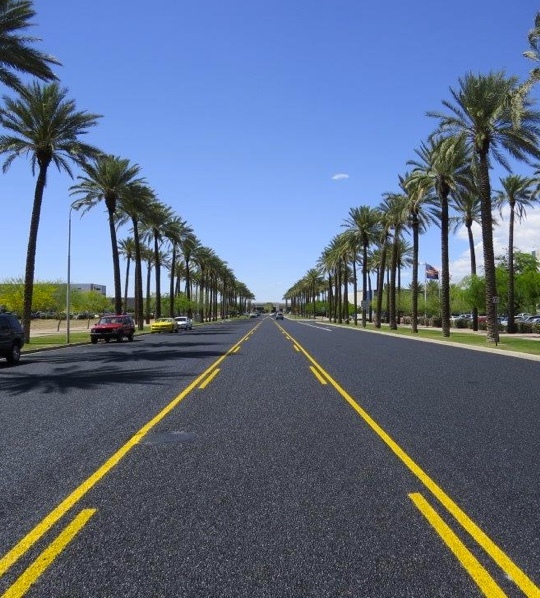 The organization is known today as VSS International, Inc. (VSSI), now encompassing various companies and is a leader in the pavement preservation and emulsion manufacturing industries throughout the Western US. The company is headquartered in West Sacramento, California and has a regional office in Chandler, Arizona. VSS International (VSSI) and its founders have been pioneers in the pavement preservation industry since the 1950’s. As one of few remaining founding members of the International Slurry Surfacing Association, VSSI continues to provide customers throughout the United States with a vast array of innovative solutions for their pavement preservation needs. Since its inception, VSSI has been awarded thousands of pavement preservation contracts throughout the Western United States. The VSS name is recognized around the world. Through participation in international and regional conferences, agencies, contractors, and engineers have come to know the value-added provided by VSS International, Inc. With over 60 years of experience in the construction industry, VSS International, Inc. stays forefront of developing techniques, asphalt technology, and equipment manufacturing. VSS International, Inc. is now one of the leading companies in road construction and maintenance. From that success and ingenuity, sister companies, VSS Emultech and VSS Macropaver (also known as Reed International, Inc.) have blossomed as a prime material provider in asphalt emulsion and application technology and as a premier road maintenance and construction equipment manufacturer. We design, build and install pavement preservation systems on projects of all sizes, both public and private. To satisfy our clients in meeting today’s challenging construction environment, VSSI’s expert team of professionals, state-of-the-art equipment, and manufacturing facilities deliver the safest and highest quality construction. Our commitment is backed by accredited organizations that are the industry standard of compliance, measures and safety. 2013 California Chip Seal Association’s “Innovative Micro Surfacing Scrub Cape Project of the Year” Award – County of Santa Barbara 2012 County Wide Preventive Maintenance Contract techniques more often in order to increase safety of the roads and to cut costs during trying economic timeVSS is a one-stop solution for all road maintenance needs. With the knowledge and technology available with our Companies, VSS can provide education, technology, design, equipment and construction in all aspects of the road maintenance industry.